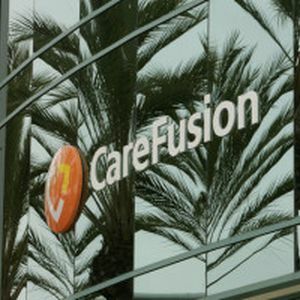 BD and CareFusion announced today a definitive agreement under which BD will acquire CareFusion for $58.00 per share in cash and stock, or a total of $12.2 billion, to create a global leader in medication management and patient safety solutions. The agreement has been unanimously approved by the Boards of both companies. The combination of the two companies’ complementary product portfolios will offer integrated medication management solutions and smart devices, from drug preparation in the pharmacy, to dispensing on the hospital floor, administration to the patient, and subsequent monitoring. The combination will improve quality of patient care and reduce healthcare costs by addressing unmet needs in hospitals, hospital pharmacies and alternate sites of care to increase efficiencies, reduce medication administration errors and improve patient and healthcare worker safety. In addition, the Company will have solid positions in patient safety to maximize outcomes in infection prevention, respiratory care, and acute care procedural effectiveness. Under the terms of the transaction, CareFusion shareholders will receive $49.00 in cash and 0.0777 of a share of BD for each share of CareFusion, or a total of $58.00 per CareFusion share based on BD’s closing price as of October 3, 2014. The transaction is subject to regulatory and CareFusion shareholder approvals and customary closing conditions, and is expected to close in the first half of calendar year 2015. Upon closing, BD shareholders will own approximately 92% of the combined company and CareFusion shareholders will own approximately 8%. The transaction is expected to provide double-digit cash EPS accretion to BD in the first full year, and is also expected to be accretive to GAAP EPS in fiscal year 2018. The transaction is also expected to expand EBITDA margins, and deliver strong cash flow generation and ROIC. The Company has identified $250 million of annual pre-tax cost synergies. These savings are expected to be fully realized in fiscal year 2018, resulting from reduced overhead expenses and efficiencies from the combined operational and manufacturing footprint. The estimate excludes any benefit from potential revenue synergies resulting from the combination of the two organizations.